EL JUEVES DÍA 6 DE DICIEMBRE, ES PRIMER JUEVES DE MES, DIA DE ORACIÓN DE LA COMUNIDAD. A LAS 18,30H. 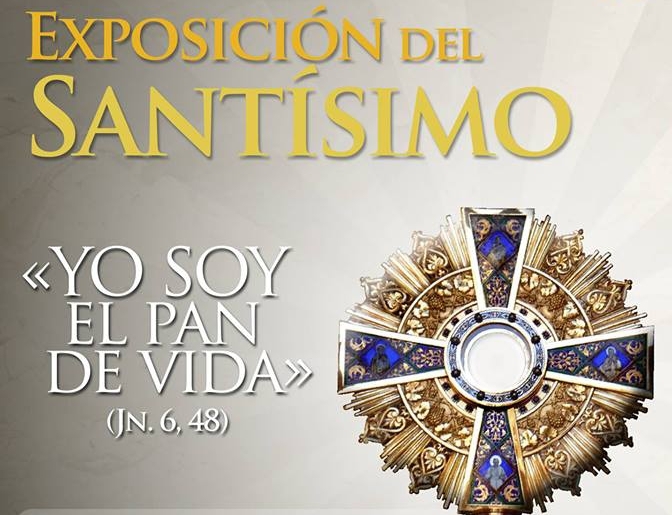 EXPOSICIÓN DEL SANTISIMO, ORACION PERSONAL Y COMUNITARIA. BENDICION Y RESERVA. 19,30H. STA. MISA. ES DE VITAL IMPORTANCIA LA ORACIÓN PARA LA VIDA DEL CRISTIANO, COMO EL AIRE PARA RESPIRAR, POR ELLO OS INVITO A PARTICIPAR, PARA SER FIEL REFLEJO DE SU AMOR. INVITAD A VECINOS, AMIGOS Y CONOCIDOS. EL NOS LLAMA Y NOS ESPERA, PARA GOZAR DE SU COMPAÑÍA. NO LE FALLEIS.